Tepco backs Conjoule as the energy blockchain market begins to look a bit crowded. Tokyo Electric Power Company has cemented its interest inblockchaintechnologies with a major stake in peer-to-peer energy trading platform developer Conjoule. The Japanese utility giant pumped €3 million ($3.5 million) into the German startup as part of a €4.5 million ($5.3 million) Series A funding round alongside German energy company Innogy SE. 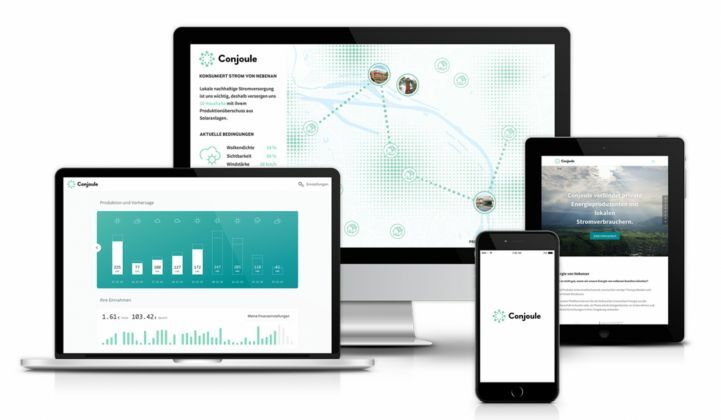 Innogy had been incubating Conjoule within its Innovation Hub division since late 2015, after one of the Hub’s staffers, Conjoule’s co-founder and Managing Director Sam Warburton, came up with the idea for the renewable energy peer-to-peer marketplace. “Using blockchain technology, the Conjoule team [is] building one of the most exciting technology developments to enable new transactional models in energy,” according to a press release from Tepco. The investment, which should allow Conjoule to increase its technical team and launch its platform commercially across Europe, follows Tepco’s alliance with Shell, Statoil, Centrica and others in the blockchain-focused Energy Web Foundation in May. “We aim to develop the use cases and the platforms using blockchain technology in the electricity and energy sector with this participation,” Maki Murayama, of Tepco’s international public relations group, told GTM. Tepco sees a growing role for peer-to-peer energy transactions in Japan as distributed generation leads to an increasing level of "prosumers" being involved in “local production for local consumption,” Murayama said. Conjoule is beta-testing its blockchain-based peer-to-peer platform with a restricted number of users this year, after developing a simulation based on real historic data in 2015 and creating a minimally viable product for real-world testing in 2016. It is planning to launch commercially in 2018, with an initial focus on Germany and the Netherlands and possible expansion into Austria and the U.K.
“Our target is to be the peer-to-peer platform of choice for distributed electricity producers, consumers and prosumers in Europe and in selected markets globally,” said Warburton. He admitted Conjoule was entering an increasingly crowded market for energy blockchain platforms, though. Other startups in the space include Drift, Grid Singularity and Electron. For now, other energy blockchain players have been broadly receptive to Conjoule’s appearance on the scene. Other energy blockchain developers noted how Conjoule might form part of a wider technology ecosystem in which different blockchains are used for different forms of exchange. Conjoule superficially appears to be very similar to the blockchain-based solar generation rewards program SolarCoin. But Francois Sonnet, co-founder of ElectriCChain, an energy generation data project, said there are differences between them. Ian Worrall, founder of an energy blockchain startup called MyBit, which is aiming to raise funds through a token sale crowdfunding initiative, was similarly quick to draw a distinction between his company’s offering and Conjoule’s. What seems to be emerging is a web of different energy blockchains with very specific applications, such as trading electrons with the person next door, helping landowners raise cash for solar panels or making it easier to take advantage of subsidies. While this arrangement may suit energy blockchain startups seeking a niche in a bustling market, it isn't clear how so many choices of peer-to-peer systems will make things easier for end users, as all the platform developers claim. Trying to understand blockchain's role in the energy sector? Listen to our recent episode of The Interchange podcast for a detailed overview.